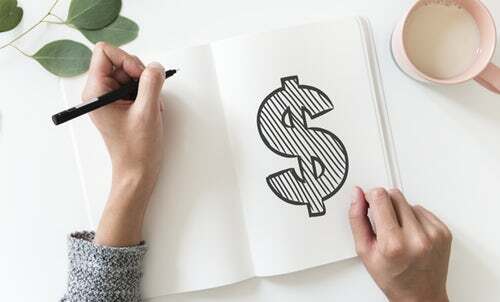 One of the most common questions that we get at CleanRiver is “how much does a recycling program cost?” And this doesn’t surprise us because one of the biggest obstacles to starting an effective recycling program at any facility is the capital investment needed. Unfortunately for most companies, recycling programs are often thought of as “nice to do” rather than a financial investment. This means there is usually not a lot of budget allocated for these types of sustainable initiatives. But here’s the great news (that we love to share), implementing an effective recycling program will not only provide a huge cost savings but it can also begin generating revenue and payback the initial investment in as little as 2 years. 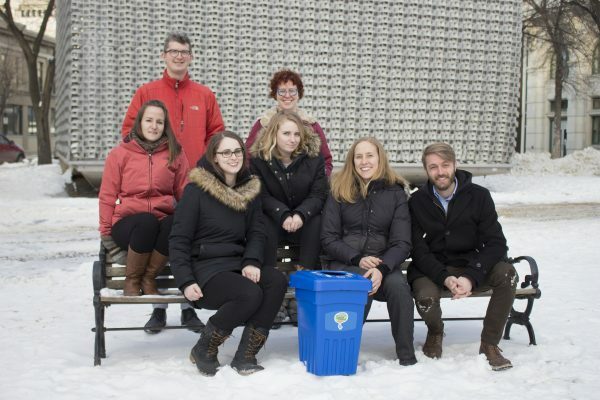 RecycleEverywhere Team with CleanRiver BevvyBin8. When trying to find funding for a recycling program, a great place to start is to research any available recycling grants in your area. Look for opportunities to generate funds through bottle bills, waste hauler rebates, and government funded recycling grants. Organizations like Keep America Beautiful and RecycleEverywhere provide free recycling bins for businesses, schools, and residential use. These types of grants are a great way to jump start your recycling program and get funding or equipment if you don’t have the budget for it. To help you get started, download our free eBook: Recycling Grants: What are they and How to get them? 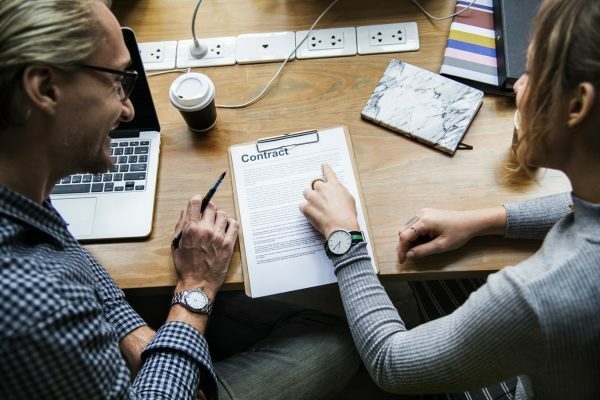 At CleanRiver, we strongly recommend that you get a thorough understanding of your waste hauler contracts before starting a recycling program. Often, organizations are paying for daily pick up schedules when dumpsters are only half full. Determine how often the dumpsters are actually full and need emptying and then update your waste hauling contract respectively. By simply reducing the frequency your waste hauler is picking up, you can instantly reduce your collection costs. Don’t forget that the whole point of implementing a recycling program is to divert the amount of solid waste your organization is sending to landfill. So, when you successfully begin to recycle more of your material and reduce your waste, this should lower your waste disposal costs. With the help of custodial staff and key stakeholders, start a Green Team and conduct a waste audit. This step is key to help you gain a better understanding of where your organization is in terms of waste management, what is being sent to landfill that could be recycled, and help you find a baseline for areas of improvement and more importantly COST SAVINGS. Because remember, the less waste you have, the less you have to pay to have it removed. For everything you need to know to know about how to properly conduct a waste audit, sign up for our free webinar here. Change is constant and in the world of waste management and recycling this couldn’t be more true. One of the major issues that we see is that people take the time to implement all the proper recycling equipment, only to see change be forced on them. For example, they were collecting two or three different waste streams but now, due to a new waste hauler contract or government mandate, their collection streams must change. 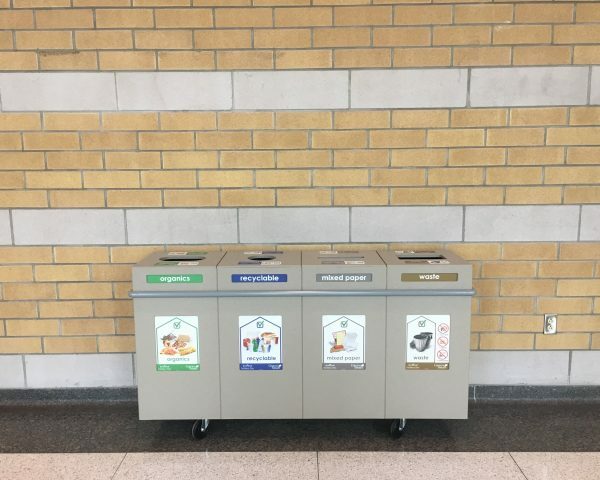 If your waste and recycling stations are not designed to be future ready and transition easily to different waste streams then this can end up costing you a lot of time and money. CleanRiver’s Transition bins allow you to change number and volume of streams as your recycling program changes. When any item goes into your recycling bin that shouldn’t be there (because it can’t be recycled), it causes stream contamination. If your recycling stream contamination exceeds your waste hauler’s acceptable level, then your collected content will be considered non-recyclable and tossed in landfill, costing you more money – not good for your waste diversion rate or your bottom line! So how do you make sure your recycling stream contamination levels stay low? 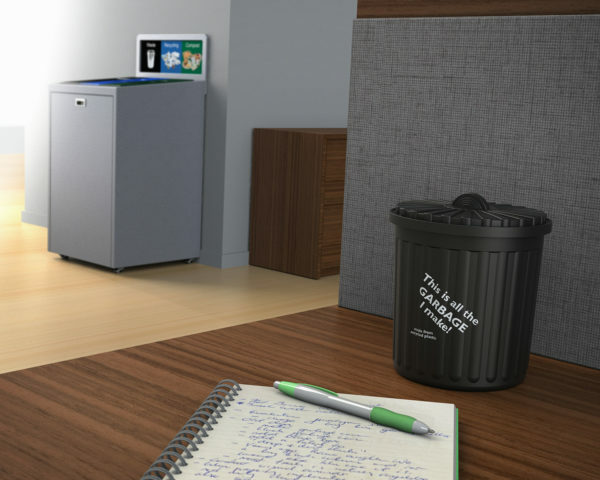 Centralized recycling stations encourage employees to get up from their desk (a healthy benefit to any desk job) and sort their own waste. When employees become more aware of what they are throwing out, they will begin choosing the waste stream they deposit their trash into more wisely, thus reducing your stream contamination. And don’t forget the cost savings in janitorial fees when the custodial staff don’t have to go desk to desk to collect every employee’s waste and recycling anymore! The tiny bin with a big impact. Start saving with the CleanRiver Mini Bin program today. Recycling labels are a quick, simple, and often cheap fix when it comes to lowering your recycling stream contamination. When it comes to sorting waste, people only have about 2 seconds to decide which waste stream to toss their trash into. If it’s unclear even in the slightest of what goes where, they’re just going to deposit it into whatever stream is the closest. In order to combat this, your recycling labels should show people exactly what goes where and should communicate your sustainability message to help people make the right decision right away. At CleanRiver, we can customize your graphics to ensure that your organization’s common recycled items are clearly identified on your recycling labels. So get your graphics right and use our CleanRiver’s 3 Tips For Ordering the Most Effective Recycling Labels for your Program. Effective recycling programs can generate revenue for your organization and payback the initial investment in as little as 2 years. For more things to watch for when starting a recycling program, check out our blogs 4 Reasons Why Your Recycling Program Is Failing and 5 Risks To Consider Before Starting A Recycling Program.